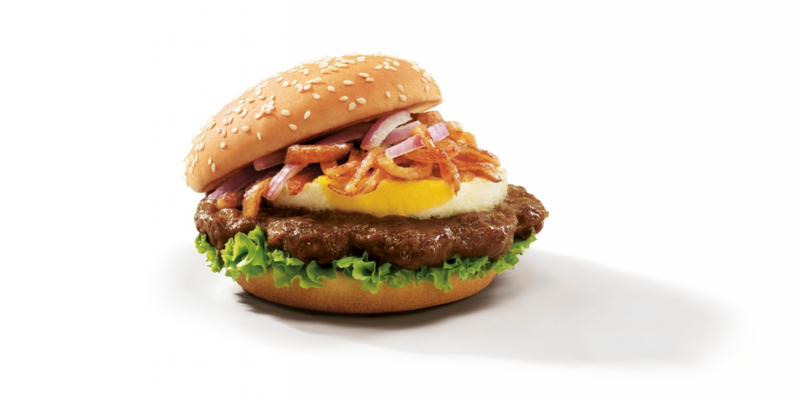 McDonald’s Singapore is putting a twist on the timeless rendang, launching their version of the “Rendang Burger” to give their rival, Burger King a run for their money. The latter is well-known in Singapore for their Rendang Burger, a localised favourite on their menu to cater to Singaporeans’ taste buds. McDonald’s is whetting Singaporeans’ appetite this National Day with their all-new Rendang Sedap Angus Beef Burger selling at S$6.95 each. The Rendang Sedap Angus Beef Burger features a 100% Angus beef patty dipped in rendang sauce made from a blend of coconut milk, ginger, kaffir lime, lemongrass, onion, garlic and spices. 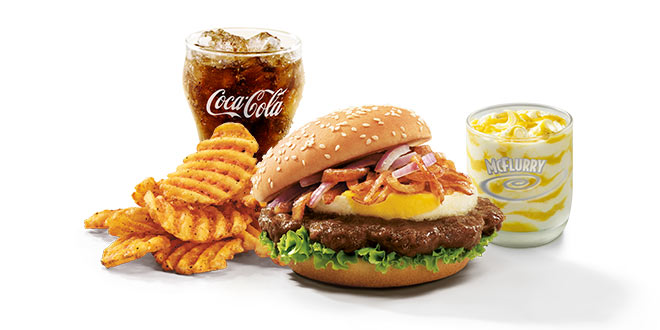 Laid atop a layer of lettuce, the Angus beef patty is topped with a fried egg, sliced red onions and grilled caramelised onions, served between sesame seed buns. The Rendang Sedap Angus Beef Burger is available after breakfast hours in all restaurants and via McDelivery and Grab Food for a limited period only from 9 August 2018, while stocks last. Related Post: Here’s everything Huawei launched at Mobile World Congress 2019 - is that a foldable phone? Gather your friends and family to savour the joy in every bite of the Rendang Sedap Angus Beef Burger and Ha Ha Cheong Gai Chicken Burger with the Rendang Sedap Feast and Happiness Feast. 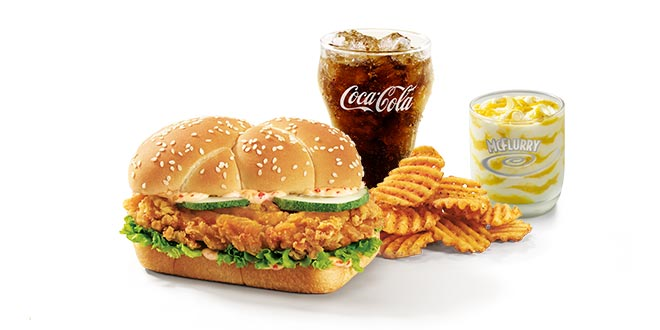 Each feast comes complete with a pack of golden Criss Cut Fries (M), a refreshing glass of Coke (S) and a D24 Durian McFlurry. The Rendang Sedap Feast and Happiness Feast are available after breakfast hours in all restaurants and via McDelivery® for a limited time only, while stocks last. 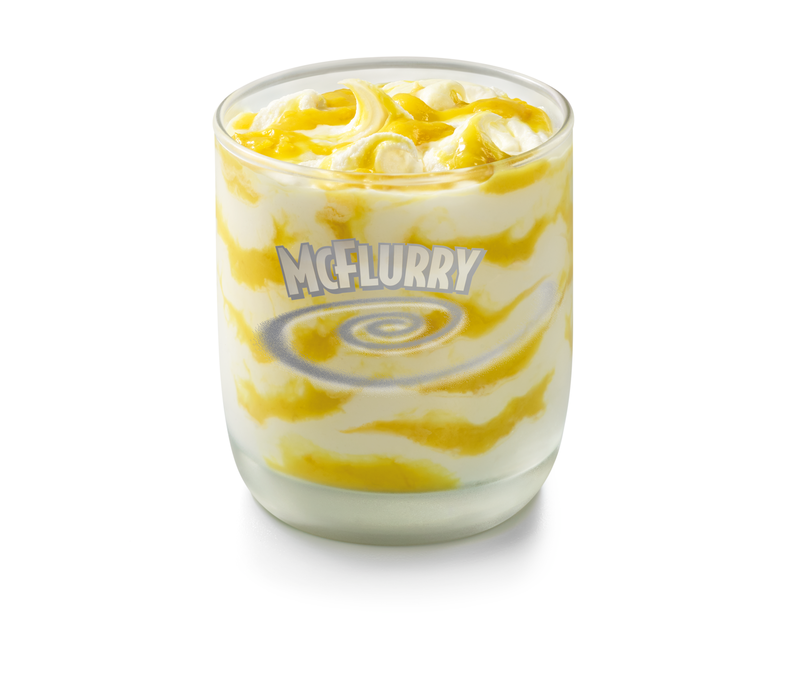 Lovers of the D24 Durian McFlurry can rejoice because the durian season at McDonald’s is not over yet! To celebrate National Day and reward Singaporeans’ love for this aromatic treat, McDonald’s is offering the D24 Durian McFlurry at a special price of only S$3 each islandwide! This ongoing deal for the D24 Durian McFlurry is available after breakfast hours in all restaurants, Dessert Kiosks and via McDelivery for a limited period, while stocks last.